A bushy perennial from tropical South America, Browalia speciosa is most commonly grown as an annual, but also makes a lovely houseplant. 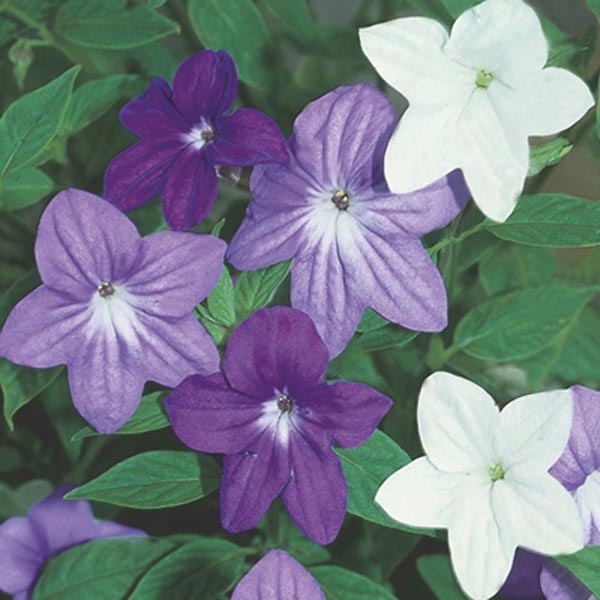 Named varieties have lush, but compact growth and an abundance of blooms. 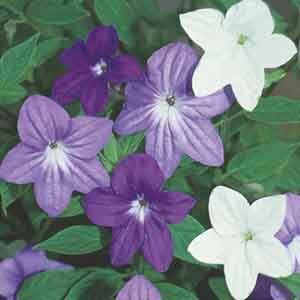 Depending on variety, the flowers may be white, violet or sky blue. Striking when paired with plants having golden foliage. The perfect choice for beds and borders. Perfect for all kinds of containers. Looks great in rock gardens. Makes a breathtaking potted specimen plant.